If you’re a basketball fan, then we’ve got an absolutely devastating story for you. The NBA just learned a hard lesson about the importance of responsibility today. Beloved Chicago Bulls mascot Benny the Bull has died after the Bulls player whose turn it was to take him home for the weekend forgot to feed him. It’s a true shame that Benny died, but you can bet that every player on the Bulls is walking away with a hard-earned understanding that actions have consequences. According to multiple sources, Benny the Bull died of starvation after Bulls center Robin Lopez didn’t remember to feed him even once over the course of a week. When Bulls head coach Fred Hoiberg sent Robin home with Benny the Bull, he’d been extra careful to explain to Robin how often to refill Benny’s food and water bowls, but apparently Robin wasn’t paying close attention because paramedics discovered Benny’s big red body completely emaciated and dehydrated in Lopez’s living room with his food and water bowls entirely empty. Wow. Although the grave in Robin Lopez’s backyard marked with a small rock isn’t an ideal way for the team’s time with Benny the Bull to end, it’s at least good to know that the Chicago Bulls came out of this ordeal having learned a valuable lesson about the importance of personal responsibility. 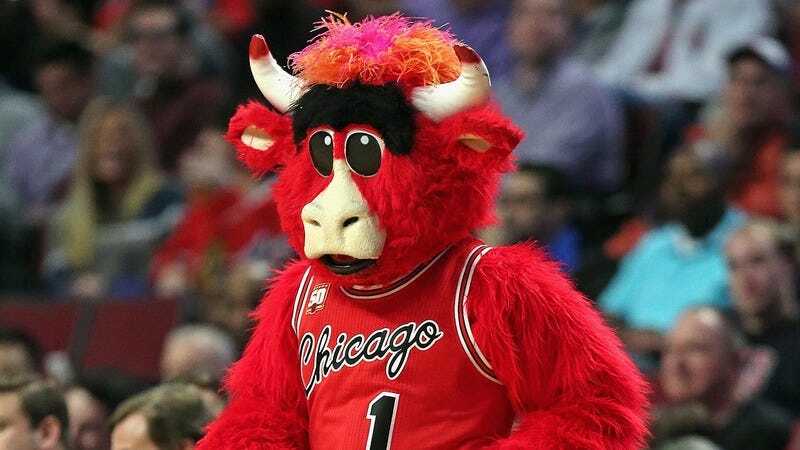 Let’s just hope that if they end up replacing Benny the Bull with a new mascot, every player will be a little more careful when it’s their turn to take care of him.